If you're looking for a fun place to eat for the whole family, check out this list of New York kid friendly restaurants. Whether you want somewhere that can provide high chairs, a friendly atmosphere or a kids menu, you will be able to find somewhere fun to take the kids on our list of child friendly restaurants in New York. For your child's next birthday, take them out to eat at one of these kid-friendly restaurants that offer parties in New York. When you visit the Lexington Candy Shop/Luncheonette, you’ll feel like you are back in time! This kid friendly restaurant in New York is bursting with nostalgia! The old time shake machine, the antique record player, the old glass coca cola bottles -- all of this adds to the simple charm for a delightful afternoon! If you are planning a day out with your kids AND your parents or even grandparents – this is the place for lunch! Leave the texting and tablets behind while counter staff makes you an old fashioned float. The food is simple: soup, tuna melts, salads, all-day-breakfast (check their website for an updated menu.) Hours of operation: Monday through Saturday from 7:00 a.m. to 7:00 p.m. and Sunday from 8:00 a.m. to 6:00 p.m. This kid friendly restaurant in New York, with its simple menu and old time malts, is the best! Big Daddy's Restaurant: A Fantastic Kid Friendly Restaurant in New York! Nothing says fun like Big Daddy’s Restaurant! Open every day, with prices starting at just $4.00, you'll come back again and again. If you want to order breakfast all day long, eat a big tasty burger, drink frosty thick shakes, indulge in tater tots, in a totally kid friendly restaurant in New York, this place is calling your name. You won’t believe how groovy this place is! With three easy-to-find locations, this place rocks: 1) 239 Park Avenue South; phone: 212‐477‐1500; 2) 1596 Second Avenue; phone: 212‐717‐2020; 3) 2454 Broadway; phone: 212‐677‐2004. They are open 24 hours on the weekends and 8:00 a.m. to 12:00 a.m. Monday through Thursday. Oh My Gosh! A peanut butter restaurant! Peanut butter and jelly is great, obviously, but what about a grilled peanut butter sandwich, stuffed with bananas and honey, or a peanut butter sandwich with velvety vanilla crème cheese with chocolate chips! That's what you can have from the Peanut Butter and Company Sandwich Shop. This place reigns supreme as one of the best kid friendly restaurants in New York! Prices start at a low $4.50, many peanut butter selections are available to suit any pallet. Hours are: Monday through Thursday 11:00 a.m. to 9:00 p.m., Friday and Saturday from 11:00 a.m. to 10:00 p.m. and Sunday from 11:00 a.m. to 9:00 p.m. For a great kid friendly restaurant in New York, the Peanut Butter and Company Sandwich Shop is a no brainer! Serendipity 3 is like an ice cream shop on steroids! For a kid friendly restaurant in New York, Serendipity 3 is great. The menu is not limited to hot chocolate and ice cream, but is available and quite scrumptious! Prices start at $3.50 for a pot of tea (from Earl Grey to Peppermint and every flavor in between is available). There are appetizers, soups, salads, and main entrées available, as well as burgers and sandwiches, making this place a great kid friendly restaurant in New York. Serendipity 3 is an item on many peoples' “must do” lists, so plan to either visit early or wait for a bit in line. One of the curiosities is their Guiness World Record Golden Opulence Sundae for $1,000.00, served with gold flakes! For this treasured dessert, an advance reservation of at least 48 hours is required. Serendipity 3's hours are Sunday through Thursday from 11:30 a.m. to 12:00 a.m.; Friday from 11:30 a.m. to 1:00 a.m. and Saturday from 11:30 a.m. to 2:00 a.m. The Shake Shack is one of the best kid friendly restaurants in New York! Don’t hold back -- Indulge your burger and shake’s inner soul with crispy fries, cheeseburger with mushrooms and bacon, and frozen custard shakes! Not only is this a great place to take your kids, but you won’t stop thinking about the meal after you leave. This place is a slice of burger heaven here on earth. If the end of the world comes, and you are looking for a place to have a last meal, this is it! This place is awesome for a kid friendly restaurant in New York. There are locations all over the city to satisfy your burger cravings: 1) Southeast corner of Madison Square Parknear Madison Avenue and East 23rd Street; 2) 154 East 86th Street, between Lexington and 3rd Avenue; 3) 366 Columbus Avenue at West 77th Street; 4) 215 Murray Street, between West Street North End Avenue; 5) 691 8th Avenue and 44th Street; 6) 409 Fulton Street, between Willoughby Street and Adams Street; and 7) The Gallery at Westbury Plaza 860 Old Country Road Garden City, NY 11530. Absolutely Delicious Meals That The Kids Will Surely Enjoy! 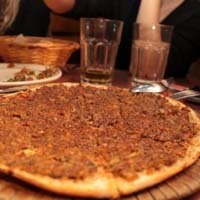 Among the best restaurants here in New York that serve Middle Eastern cuisine, Moustache is a family oriented restaurant where kids are more than welcome in the venue. With their delicious cooking made from the freshest ingredients, you will definitely want to come back for more. Moustache has the reputation in providing only the best for the satisfaction of the customers' appetite. Come to Moustache today and experience Middle Eastern cooking like no other. Contact Moustache and book your reservations today. Enjoy Pizza With Your Kids Here At Motorino! Looking for a pizzeria where kids can enjoy a great selection of pizza here in New York? Look no further and come to Motorino where the food is always good and the service is satisfactory. A family oriented restaurant here in New York, Motorino offers nothing but the satisfaction of their customers by providing only the best pizza in town. Come to Motorino today and enjoy the pizza with your whole family. To learn more about Motorino and their menus, visit their website or call them at their phone number. A Restaurant Rich In Flavor And Color! La Lucha NYC is where you can enjoy a delicious meal with your kids and spend some quality time together. With its Mexican wrestling themed decor and a place that is cozy for the guests, La Lucha NYC offers nothing but the best in serving delicious Mexican style tacos that are rich in flavor and will surely satisfy anyone's appetite. So enjoy a meal at La Lucha NYC and try their famous tacos. You will definitely enjoy a wonderful meal with your kids and will surely want to come back for more. A Family Oriented Restaurant For The Whole Family To Enjoy! Make your reservations to Five Points and enjoy their first class cuisine. A kid friendly restaurant here in New York that serves a delicious selection of food, Five Points will simply satisfy anyone's appetite. Headed by Chef Marc Mayer, he provides nothing but excellent cuisine rich in flavor and simply delicious. Come to Five Points and let this place satisfy your appetite. 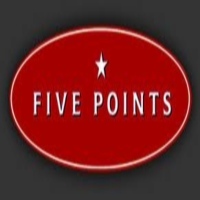 Five Points will definitely offer only the best service and delicious food for its costumers here in New York. 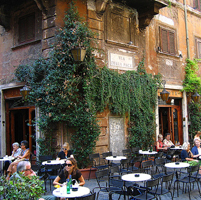 Experience Quality Service And Taste Delicious Italian Food At Via Della Pace! A great place for the whole family to enjoy a wonderful meal together, Via Della Pace is a family oriented restaurant where kids are very much welcome in its establishment. Famous here in New York for serving first class Italian cuisine, Via Della Pace will make sure that you leave their restaurant satisfied and happy with their food and service. Make your reservations and have a wonderful time with your whole family here at Via Della Pace. Here you can only expect delicious Italian cuisine and a comfortable ambiance to enjoy a meal. 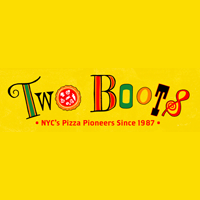 Two Boots, A Pizzeria Where Your Appetite Will Be Satisfied! Come to Two Boots and enjoy their famous pizza. A kid friendly restaurant here in New York, you can expect only the best selection of pizzas to satisfy your appetite and exceptional service where you feel more like at home. It is open daily from 11:00 Am to 12:00 Am on Monday to Wednesday and Sunday, 11: 00 Am to 1:00 Am every Thursday and 11:00 Am to 2:00 Am every Friday to Saturday. So come to Two Boots Pizzeria and enjoy a wonderful meal with your family and have some quality time together. Cowgirl, Where Your Appetite Gets Satisfied! Come to Cowgirl and enjoy a wonderful meal with the whole family. Cowgirl offers a delicious selection of Western cooking where their food will surely satisfy anyone's appetite. Also, Cowgirl has a kids' menu that is guaranteed to be delicious for your kids to enjoy. A kid friendly restaurant here in New York, Cowgirl has a warm Texas friendly atmosphere great for any family to enjoy a meal together. Make your reservations and let Cowgirl be your place to enjoy a wonderful meal with the whole family. 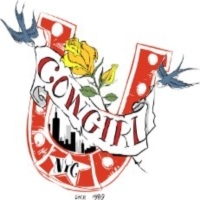 To contact Cowgirl call them at their phone number or visit their website. Exquisite Sea Food Great For A Family Meal! Come to Ditch Plains where they offer a selection of sea food cooking that is guaranteed to be delicious and fresh. A kid friendly restaurant here in New York, Ditch Plains is perfect for the whole family to enjoy a wonderful meal and have a great time. 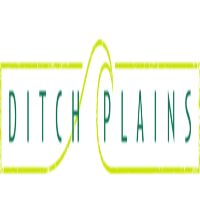 With its warm and tranquil atmosphere, you can enjoy the comforts of having a meal inside Ditch Plains. Make your reservations and come to Ditch Plains. You will definitely be satisfied with the sea food cooking and their excellent service. Commerce, Where Meals Are Served Delicious To Satisfy Any Appetite! Here at Commerce they provide a delicious selection of food that is guaranteed delicious and can satisfy anyone's appetite. A kid friendly restaurant here in New York, Commerce is great for a wonderful family dinner where you can spend some quality time together and enjoy delicious meals. Commerce is definitely a place to enjoy delicious first class cooking here in New York. Come to Commerce and enjoy a wonderful meal that the whole family can enjoy. 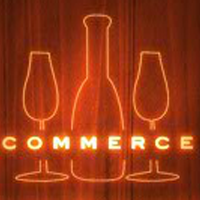 Book your reservations and contact Commerce today. 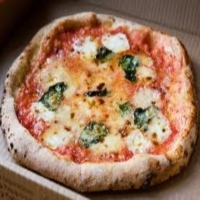 Get Italian Pizza From Kesté Pizza & Vino! Enjoy a pizza with your family here at Kesté Pizza & Vino. Among the best pizzerias in New York, Kesté Pizza & Vino is a kid friendly establishment that serves nothing but the best for the satisfaction of its customers. It is definitely a place where you can enjoy a wonderful family meal and spend some quality time together. So make your reservations and let Kesté Pizza & Vino provide to you their most famous pizza here in New York. For more information and reservations visit their website today.